Wow, this time four months between blog entries. Central Queensland had a pretty ugly cyclone hit at the end of January, and here on the Gold Coast we caught the edge of it as it turned into an angry low pressure system. There was some serious flooding in Brisbane and a few of the major towns, and there were a couple of deaths. 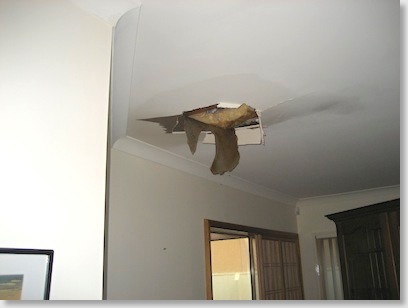 It wasn’t as bad on the Gold Coast, but the weather was nasty, and there was a fair bit of damage around the place. And unfortunately, we copped some of it here at home. 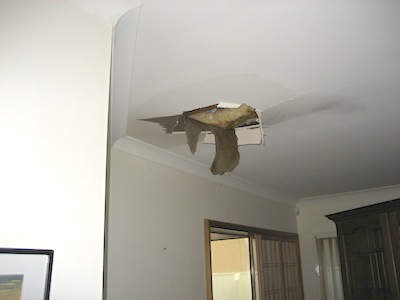 Possibly the strong winds may have moved a tile, or the amount of water may have just been too much for the roof design. That part of it will be checked early next week. Fortunately though, the waterfall that came out of the ceiling missed the bookcase, Mariko’s grand piano, all my shoji and kumiko art work, everything, so the luck was certainly on our side. Insurance has it covered, and hopefully next week repair work will start. A nuisance, but compared to what others lost in the storms and flooding, this was nothing and we consider ourselves very lucky. I bought one of the new Kindle paperwhite readers the other day. 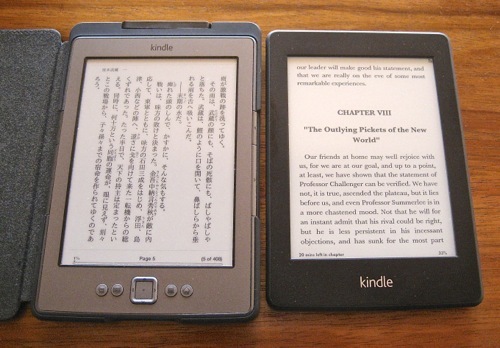 We have one of the older e-ink versions, which I think is excellent, but the paperwhite really takes the e-book reader technology to a new level. So at the moment I’m consuming a large number of the public domain books from the Gutenberg Project in the US and Australia. Japan also has a similar project with their classics as the copyright expires (50 years after the death of the author in Japan I think) - Aozora Bunko. I’m not cheap (I am actually, but that’s another story), but I just think the writers of old (by old I mean 19th Century and early 20th Century old, not Chaucer or Shakespeare old) had a better grasp of how to use language to its best effect, even though today it at times sounds a bit odd or outdated. Aozora Bunko is also a treasure trove of wonderful books. As a historical novelist, Eiji Yoshikawa is one of, if not the best there was. He died in 1962 so his books are now starting to come online. Among his many novels are Miyamoto Musashi and Shinsho Taiko-ki (about Toyotomi Hideyoshi), which have both been translated (Musashi and Taiko, respectively). I’ve read both of the translations and they are excellent books. Musashi in English runs to nearly a thousand pages, but the original Japanese version consists of eight volumes. Aozora are starting to put his Miyamoto Musashi books up at the moment (recently put up Vol.5), and I’ve started reading the original. So at the moment, I’m reading in English Arthur Conan Doyle (The Lost World), and in Japanese our translation work during the day when it comes (boring), a fantasy science fiction book that was turned into manga and anime (good for picking up modern Japanese usage), and Miyamoto Musashi (brilliant). Believe it or not, there is a point to my literary ramblings. I was never really happy with the way books with large numbers of photos or diagrams looked on the older Kindles, so I initially decided against taking that route with my book. 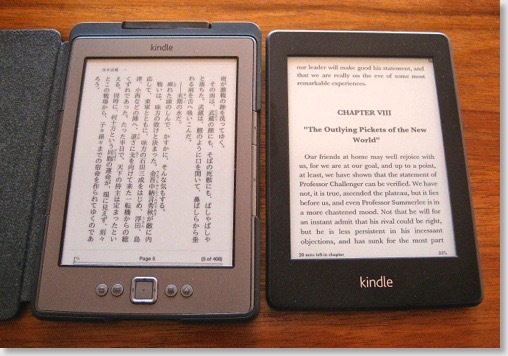 The new paperwhite Kindles have change that. As I delve deeper into what’s involved in shifting my book to Kindle, the more it appears that the problem is not so much with the Kindle technology, but more with the crappy way books have been converted, even by the major publishing houses. This causes an unhappy reader experience, resulting in poor reviews, regardless of what the content itself is like. I came across a very good book on e-book design and structure (The eBook Design and Development Guide by Paul Salvette) and he maintains that writers tend to leave everything up to Word files and automatic conversion, and this is where problem is, even on simple fiction books with no diagrams or images. He shows how to build an e-book from scratch to ensure the best reader experience, and that means writing the html code yourself. So I’m following his advice, and starting to learn the basics about html and css code so I can turn my image-intensive book into a decent e-book structure. This will take time, so I don’t expect anything to happen in a hurry. The book lends itself to splitting into two sections — the kanna part and the shoji part, and to keep the overall size of the e-book version to something that’s manageable, this is the course I’ll probably take. At the moment I’m grinding my way through the kanna section — re-writing and adjusting where necessary. After that’s done, I’ll be able to get a better idea. One bonus with this is that I don’t have to wait to finish an entire book’s worth of patterns before I get it out. The first book was a major commitment of time and effort with no money coming in, and the second book was turning out to be much the same. With the Kindle, though, especially for the sake of size, I can split and group the patterns up and get the information out more regularly, and still do other things to bring in a bit of income (unfortunately the bills never seem to stop). So that’s the state of play at the moment. Things are happening, it’s just that they’re happening very slowly.